BEMBA R.D. 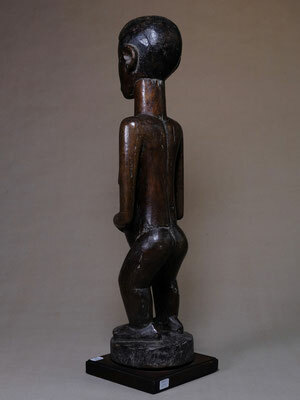 DU CONGO Wood. 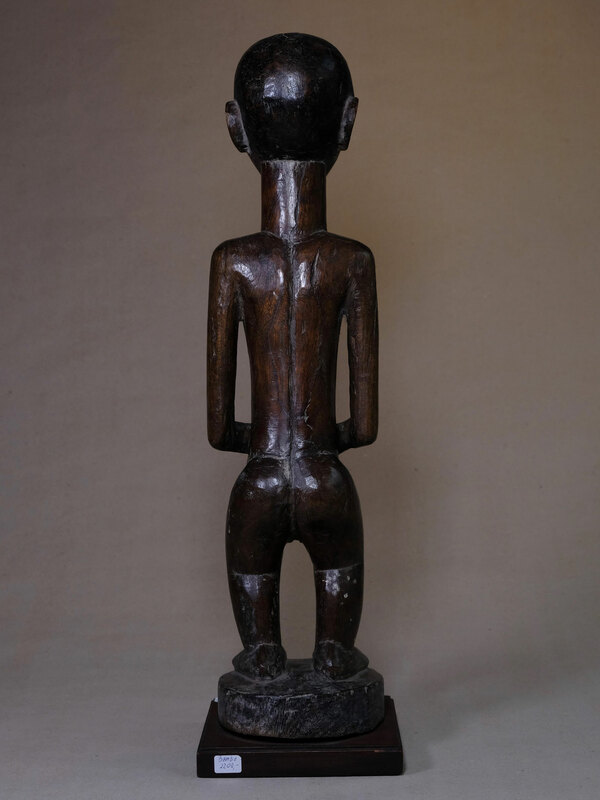 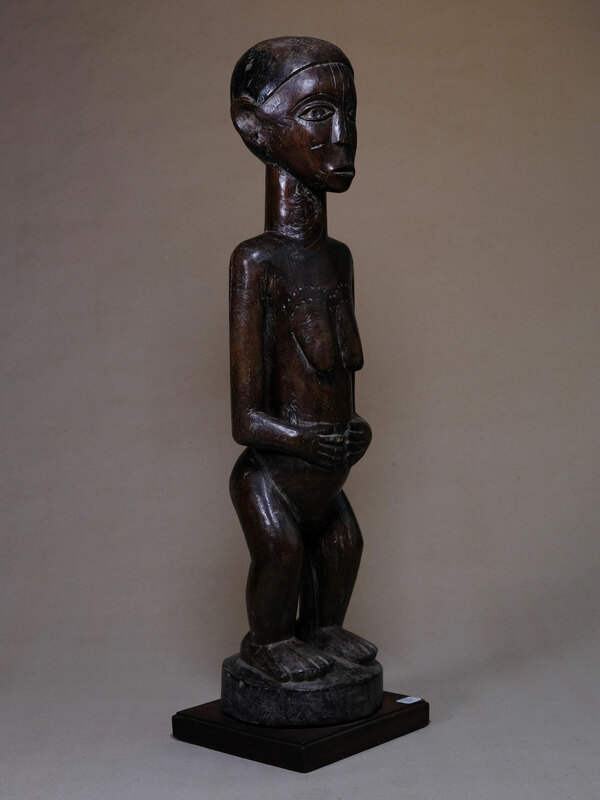 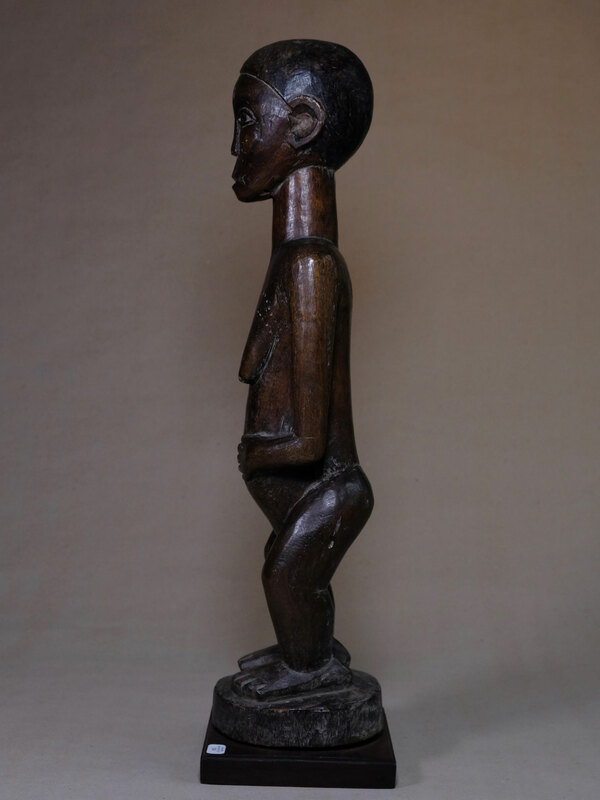 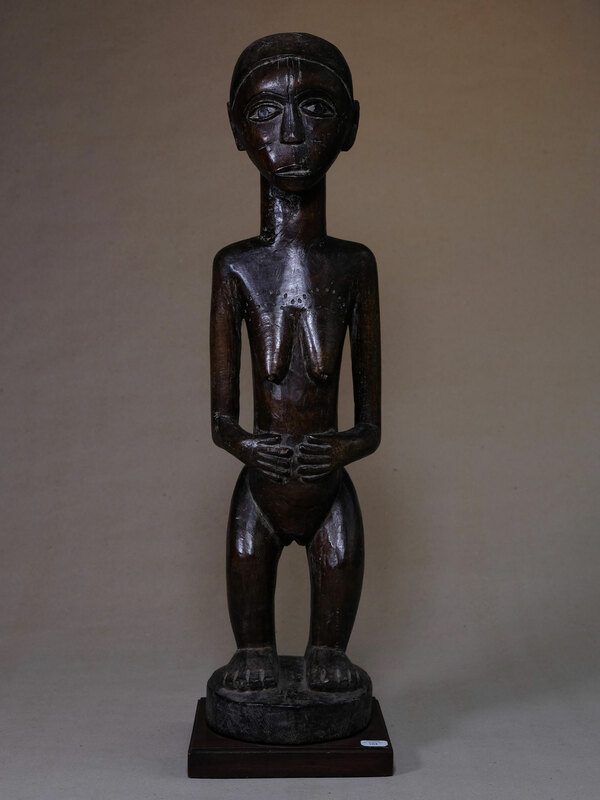 H. 48 cm Statuette female standing, legs bent on a circular base, hands resting on either side of the abdomen. 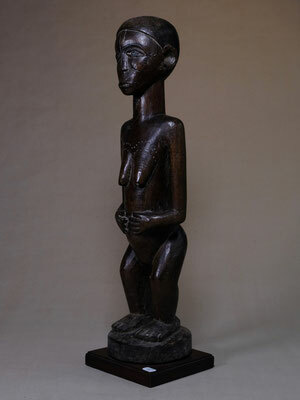 The face is characteristic of the styles of this region of eastern Congo, the cheeks and upper chest are scarified. 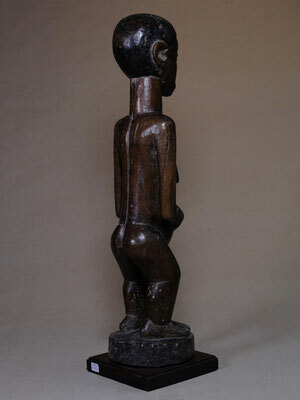 Beautiful brown patina.